Starmobile – the only local smartphone manufacturer with international quality certifications – recently launched its latest camera-centric smartphone that is designed to elevate user's selfie game: the Starmobile UP Selfie. 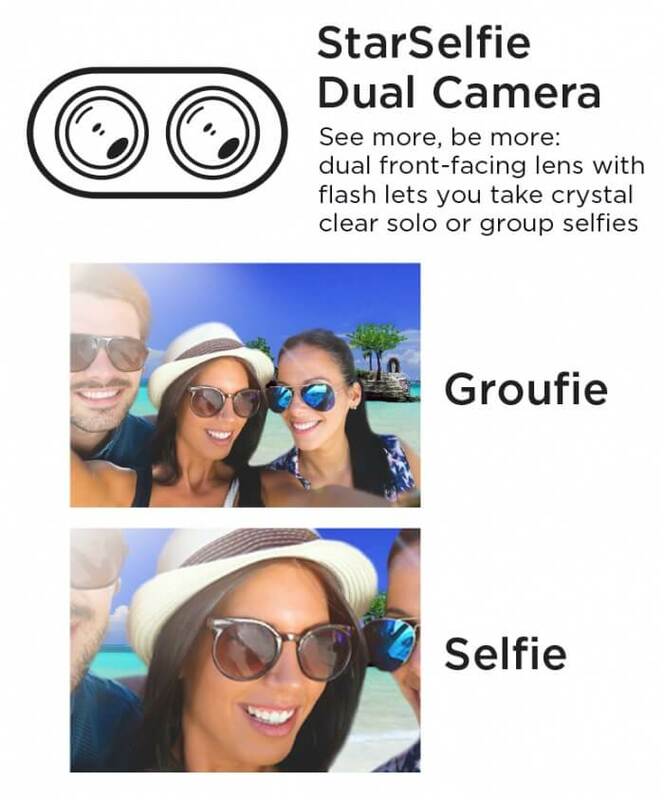 Allowing users to take crystal clear selfies and wide groufies, the UP Selfie is equipped with 13-megapixel + 13-megapixel front-facing shooters. It sports 13-megapixel rear camera, too. It flaunts a 5.2-inch HD IPS display with 1280 x 720 resolution, translating to 282ppi. Under the hood, it is powered by 64-bit MT6737 quad-core processor clocked at 1.3GHz, and is paired with Mali-T720 GPU. Also, it packs 3GB of RAM and 16GB internal storage that is expandable up to 32GB via microSD card. The device boasts 2900mAh battery, and features fingerprint scanner, as well. The UP Selfie runs on Android 7.0 Nougat OS. Priced at PhP6,990, the UP Selfie is included in the brand’s STAR-TAGAL Christmas promo – giving consumers a chance to win Starmobile products, home appliances, a Toyota Wigo or Toyota Innova, or PhP1-million in cash, tax-free.